And apparently, there’s one more on the way. 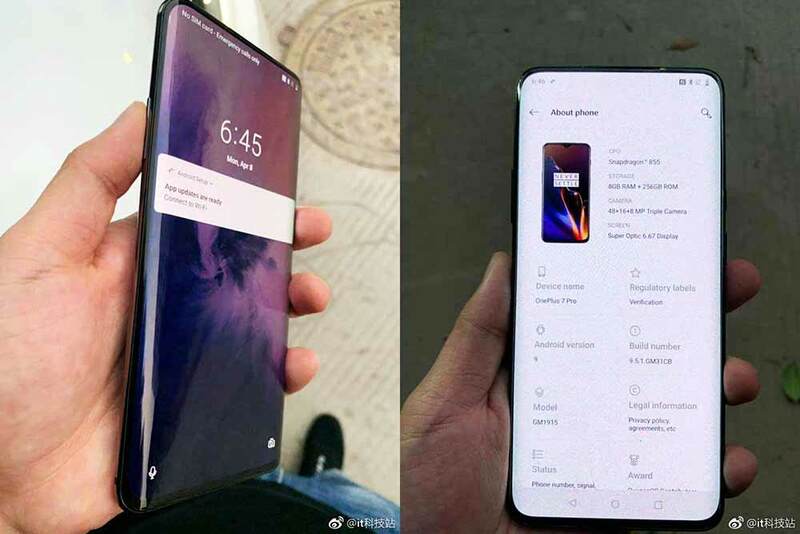 Two pictures of the alleged OnePlus 7 Pro have leaked online, showing an all-screen front without a notch and with curved sides that bend toward the narrow frame that holds the phone together. The presence of an almost-bezel-less display could mean that the next OnePlus device might adopt the same slider design as the Xiaomi Mi MIX 3, or it could take inspiration from the recently launched OPPO F11 Pro and Vivo V15 Pro with pop-up selfie cameras to lose the notch altogether. The images first appeared on China’s Weibo social platform. 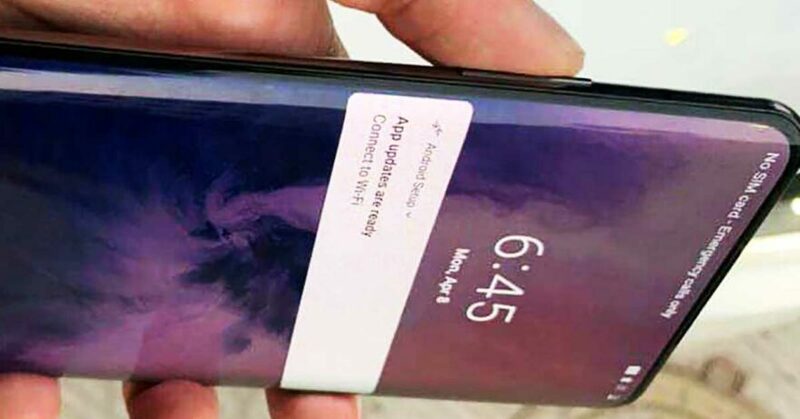 One of the images also suggests a change in the internal naming scheme that has been used to identify OnePlus phones with a model number that previously began with the letter “A.” According to reports, the series model of the OnePlus 7 Pro will be GM1901, 03, while the OnePlus 7 Pro will be GM1911, 13, 15, 17. The OnePlus 7 Pro 5G should be GM1920. The OnePlus 7 Pro is shown to be powered by a Qualcomm Snapdragon 855 processor mated to 8GB of RAM and 256GB of native storage. There should be a triple-camera setup at the back, with a 48-megapixel main shooter, a 16-megapixel ultra-wide option, and an 8-megapixel zoom camera. It might also sport a 6.67-inch Super Optic Display that uses OLED technology. Finally, the device in question will likely ship with Android 9.0 Pie based on the latest build of OnePlus’ Oxygen OS. The OnePlus 7, OnePlus 7 Pro, and OnePlus 7 Pro 5G aren’t expected to debut for a few more weeks or months. Also, OnePlus has not sent out press invitations to a launch event just yet, so it’s likely that it will wait until after Google’s I/O conference, which will start on May 7.